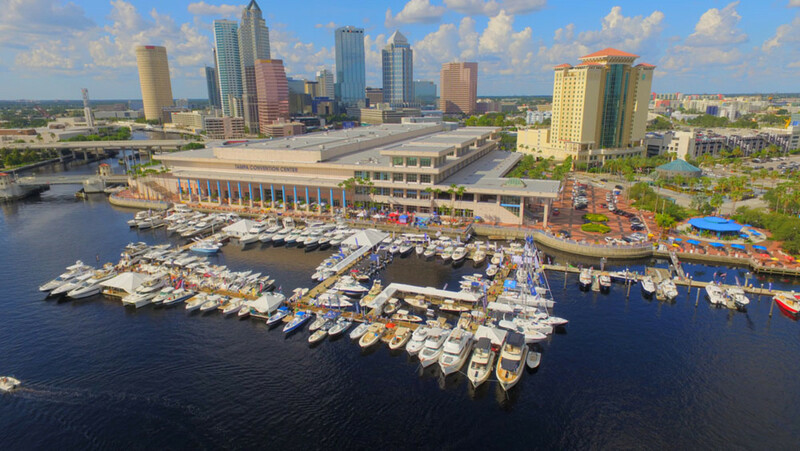 The Progressive Insurance Tampa Boat Show had 136 boats in the water and 261 more in the Tampa Convention Center this year. Organizers said attendance at the Progressive Insurance Tampa Boat Show was up 25 percent as more than 20,000 people passed through the gates during the three-day Florida event. The show, which ended Sunday, was held inside the Tampa Convention Center and in the surrounding water. The National Marine Manufacturers Association, which produces the show, said it sold out its exhibit space and saw growth in the number of boats on display. There were 136 in the water and 261 on land, all brand-new models. There were also eight sailboats on display for the first time in years. The NMMA said initial reports from exhibitors and visitors were positive and point to signs of strong sales, signaling the start of a successful fall boat show season. “We were busy from the bio party all the way through the closing hours. We sold seven big boats and have a ton of leads to follow up on,” Dave Blair, of Quality Boats, said in the NMMA newsletter Currents. “We saw great traffic all weekend and doubled our sales from last year, to 12 boats. We met with many quality prospects to follow up with and set up sea trials,” said John Caballero, of Sea Vee. “Tampa was a fantastic show. We sold several large boats and have a lot of leads to follow up on. Show traffic and the quality of buyers was excellent,” said Steve Wacker, of Thunder Marine. “It was a great show! We have 32 solid deals and full books of leads to follow up on this week,” GT Marine’s Gary Griner said.